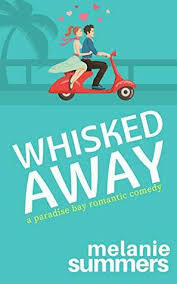 Synopsis (from Amazon): When her 9-year-old son wanted to play summer travel baseball, Shannon had no idea the toughest competition was off the field…. When her son Sam asks to try out for a travel baseball team, divorced mom Shannon Stevens thinks it’ll be a fun and active way to spend the summer. Boy, is she wrong! From the very first practice, Shannon and Sam get sucked into a mad world of rigged try-outs, professional coaches, and personal hitting instructors. But it’s the crazy, competitive parents who really make Shannon’s life miserable. Their sons are all the second coming of Babe Ruth, and Sam isn’t fit to fetch their foul balls. Even worse, Shannon’s best friend Jennifer catches the baseball fever. She schemes behind the scenes to get her son Matthew on the town’s best baseball team, the Saints. As for Sam? Sorry, there’s no room for him! Sam winds up on the worst team in town, and every week they find new and humiliating ways to lose to the Saints. And the action off the field is just as hot. Shannon finds herself falling for the Saints’ coach, Kevin. But how can she date a man who didn’t think her son was good enough for his team … especially when the whole baseball world is gossiping about them? Even Shannon’s ex-husband David gets pulled into the mess when a randy baseball mom goes after him. As Sam works to make friends, win games and become a better baseball player, Shannon struggles not to become one of those crazy baseball parents herself. In this world, it’s not about whether you win, lose, or how you play the game… it’s all about KEEPING SCORE. 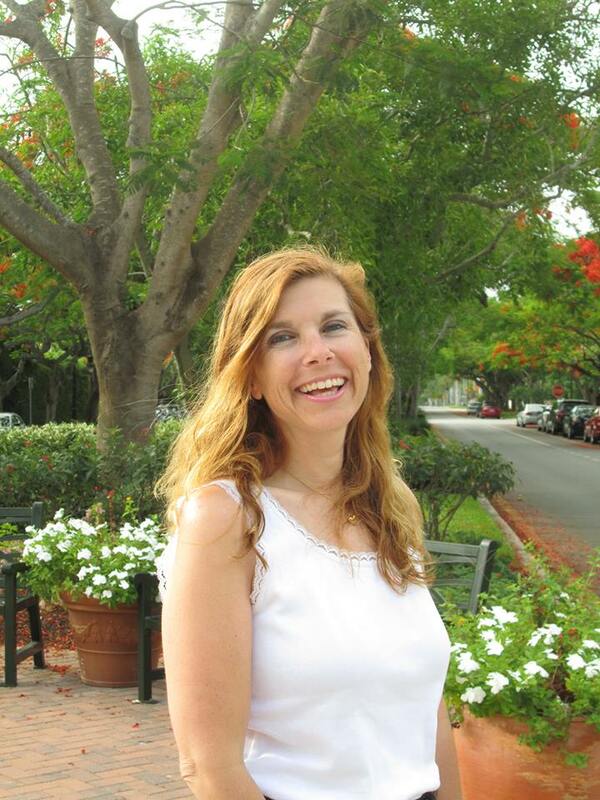 Meet the Author: A lifelong resident of Maryland, Jami Deise recently moved to St. Petersburg, Florida, along with her husband Tom, son Alex, and dog Lady. 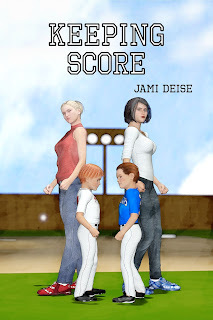 A baseball mom for over 10 years, Keeping Score is her first novel. 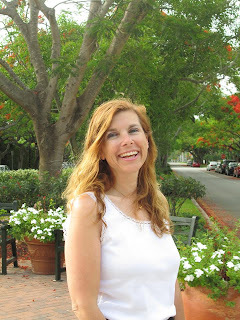 Jami is an associate reviewer at Chick Lit Central and has her own blogs. You can connect with Jami on Facebook and Twitter. Do you have a child that has played a travel sport? If so, which one(s)? – He played travel baseball until high school. After that, he joined his high school team and in the summer played “showcase” baseball, the purpose of which is to play in front of college coaches. What is one of your happiest "sports" moments? What is one of your worst "sports" moments? – Baseball is a sport built around failure, so unfortunately there have been a lot of “worst” moments. The ultimate worst moment, fortunately, we haven’t gotten to yet – he is still playing. The best moment was a few years ago when he was a junior in high school. He pitched a complete game, 2-hit shut-out in the first game of a championship series against a team his high school had never beaten in the play-offs. It was amazing, and they did end up winning the championship. Have you traveled to anywhere fun for tournaments/games? – We went to Disney World when he was in the 5th grade (fall 2004). Unfortunately, the tournament was cut short as a hurricane hit Orlando! All the flights were canceled too, and we ended up taking our rental car and driving all the way back to Maryland. Can you share a story of a "crazy" parent(s)? – Most baseball parents are crazy in the same way – we all think our kid is good enough to play at the next level. Some parents turn out to be right, while others are woefully wrong. There was one dad who insisted his son – who was a great pitcher but so awkward he could barely bend down, much less field a ball – was going to be a major league third baseman. We all thought he was crazy. What is your favorite game food and drink? – When my son is pitching, I’m too nervous to eat! Favorite color, food, drink and animal? – pink; ice cream; Sparkling Ice flavored water; my dog Lady. What do you enjoy doing in your free time? – watching TV or going to the movies. When/Why did you start writing? – In the 3rd grade. I had stories and I wanted to tell them! What is your favorite writing spot? – in my current house, it’s on the living room couch, looking out into the water. But we’re moving at the end of the month, so I’m going to have to find another spot! Do you have writing routine? – Not a routine, but I do try to give myself word count goals on a daily basis and meet them. I’m most productive when I have a specific number to shoot for. Who are some of your favorite authors? – Stephen King is my all-time favorite, though I definitely prefer his earlier horror. I also love Sue Grafton, Jennifer Weiner, Josie Brown, Tami Hoag, Marcia Mueller, J.A. Jance… I could go on and on! Can you read other books while writing your own? – I am a reviewer at Chick Lit Central and a generalist reader for a NYC-based literary agency, so I don’t really have a choice! It’s not really an issue for me, anyway. What are currently (or last read) reading now? I just finished reading Jojo Moyes’ “The Girl You Left Behind;” I’ll be writing a review on it for Chick Lit Central. What is your favorite genre? 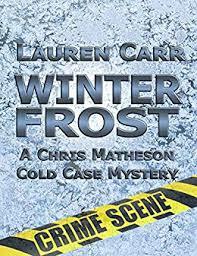 – I love mystery series with a strong female protagonist. If you could go anywhere for vacation/holiday, where would you go? Italy. Fruit or candy – candy if there were no caloric consequences! A book or e-book – e-book. It’s much easier to read on the treadmill that way. Computer or tablet/smart phone – computer for writing; smart phone for just checking in. Camping or Hoteling – definitely a hotel! Driving or Flying – I like a good road trip, but if it’s more than six hours, please put me on that plane! Playing Tyler - A Great Read!